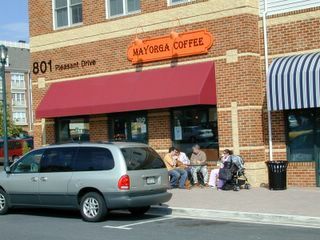 I'm up at Mayorga Coffee in Rockville today. Got the wifi card cruisin' again (courtesy of Microsoft, something I am loathe to say). Got me a sugar-free iced vanilla latte. Found a GREAT job to apply for (fingers, toes, and eyes crossed, please-oh-please-oh-please). And the "spa ladies" from the Aveda day spa next door have been dropping by to check in on me. Now, even when I had a job, I wasn't living high on the hog. But, I have learned that an eyebrow wax, the occasional facial, and a fabulous foot massage can go a hell of a long way to making you feel much better about the world. (And lord knows, not looking like Leonid Brezhnev helps on so many different levels.) And, being a member of the Aveda cult from my college days back in Minnesota, I'm totally into the Aveda spa experience. (If you're in San Francisco, visit the Aveda spa in the theater district - that place is awesome.) It's worth a few bucks to feel better about yourself and the world. Leonid Ilyich: One properly executed brow wax, and he could have brought down Communism by himself! 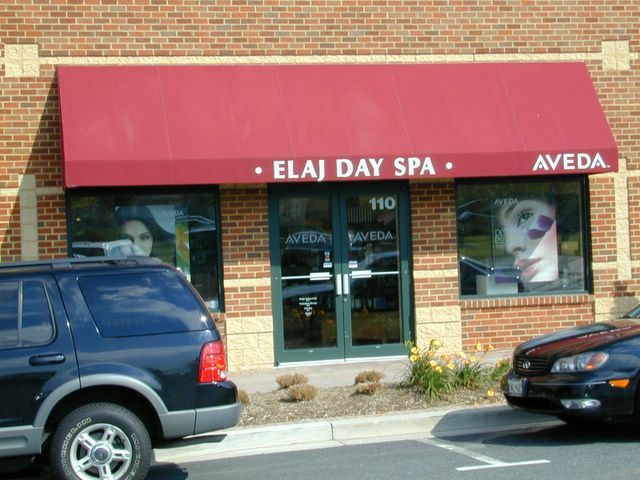 The Elaj Aveda Day Spa up here in Rockville (in the cookie cutter Stepford Wives neighborhood of King Farm) is all about respect and wellness. I feel like a princess when I go there. One friend told me I glow after I leave the spa. That's entirely possible, I swear. I have decided that, if I ever won the lottery, one of the first things I'd do (after paying all my bills, those of my siblings and my bestest friends) is set up a weekly foot massage and facial regime there. But with the moolah gone, the happy feet and face sessions are over. When I got my rebate checks from my wireless junk recently, I did go in for a foot massage. It was like Christmas, honest to god. But no more until I get a new paycheck, and even then, I'm so deep in debt from not having a job, those trips will be few and far between. This really bums me out. I like the folks who work there - they are always so totally sweet to me. Just now, one dropped by say hello and give me a big hug. She told me they really miss me over there. I send them Christmas cards and give them rave reviews on my little customer service forms. I've seen how some of the snooty, snotty customers treat them - like friggin' servants. I think of the spa ladies as just wonderful people who make me feel better. And, life can really bite at times, so I'm grateful for that temporary escape. I can't tell you how much I want to go over and get a facial right now. Is that lame? Maybe so. Perhaps I should sell a handful of Russian tchotchkes on eBay and fund one for myself. Actually, what I'd really like to do is institute a Hollywood Star/Regular Joe adoption program. A Hollywood celebrity applies to "adopt" a regular American - they can request a male or female sponsoree and designate a specific region of the country for the "adoption". 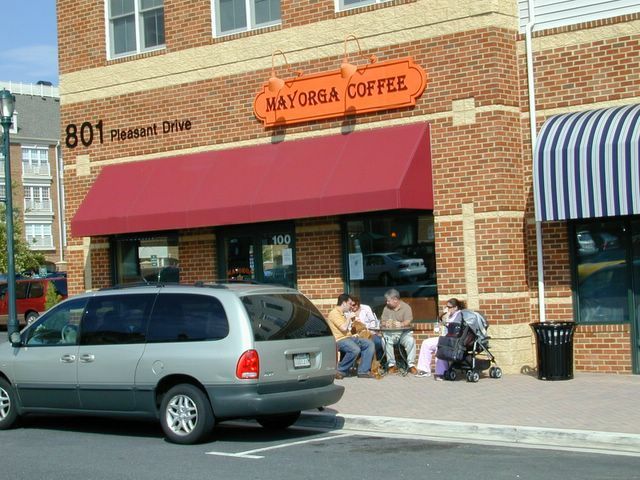 The celebrity gets a photo of his/her regular joe/joanne and a monthly letter (or personalized blog entry). The regular dude/ette agrees to watch the celeb's show/movies and make glowing comments about his/her sponsor. In exchange, the celebrity covers the cost of a haircut/color touch-up every six weeks, a facial and waxing once a month, and sends a "You are super, thanx 4 your support!" note (prepared by an assistant, of course). 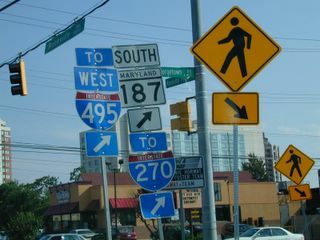 The celebrity is not required to make any direct contact with the sponsoree, unless a shooting location or press junket brings them within 10 miles of the sponsoree's home. It could be totally tax-deductible for the celebrities, and they get the warm fuzzy feeling of knowing that they're doing their part to beautify America, one two-process color and depilated chin at a time. I'm ready. Who wants to adopt me? Wow, that uno-brow is terrifying.